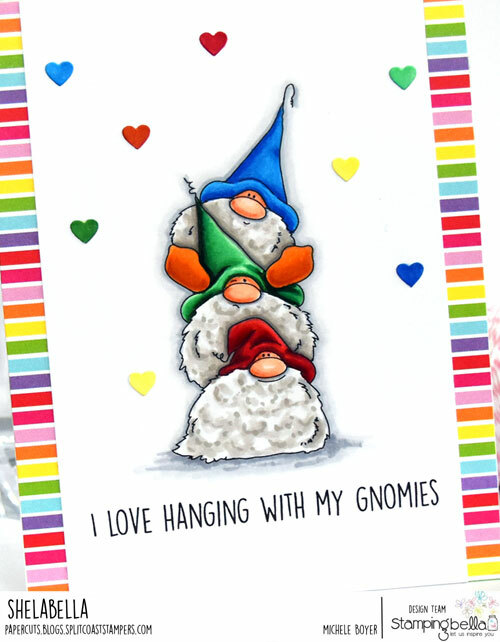 My first card uses new Gnome Pile. I like the squishy-faced one in the middle. Haha. 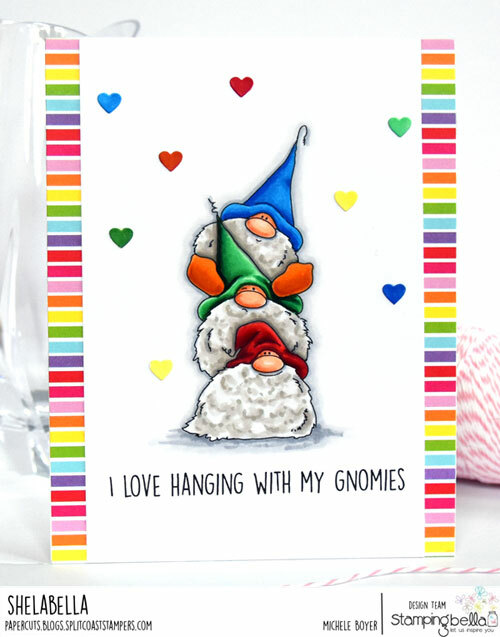 I colored my gnomes with Copic markers (listed above) then die-cut several small white hearts and colored each with markers to match the stripes. Next is super cute new Turf War. Sooo funny! That gnome is putting up with nothing from the flamingo. Haha. Be sure to stop by the Stamping Bella blog today to see more previews of additional sets. And leave a comment there for your chance to win a prize! Oh, these are so cute. I love Stamping Bella images. Must put this on my list. Thanks for the inspiration.